Men's clothes are a kind of recognition. In addition to language exchange, it is not derogatory to look at people. Although the appearance is not fundamental, the choice of a business men's suit fabric fully shows the individual's aesthetic taste. Dressing errors in the CBD is a big mistake. If you feel that you have made this mistake, then quickly change it. As a Wool Suiting Fabric Wholesaler, let's teach you how to choose the fabric of a business men's suit. Soft fabrics are generally lighter and lighter, with a good drape, smooth lines and a natural stretch of clothing. 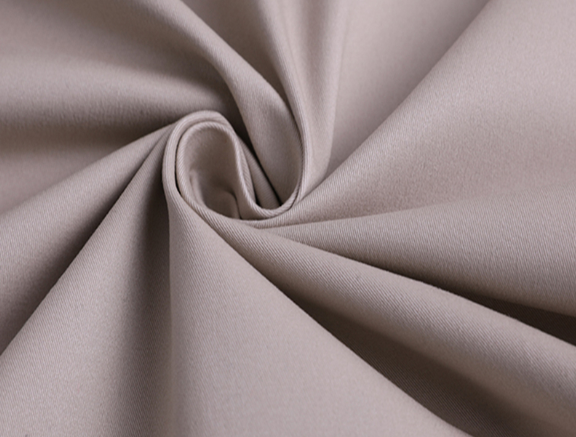 Soft fabrics mainly include knitted fabrics and silk fabrics with loose fabrics and soft hemp fabrics. Soft knit fabrics often use straight-line succinct shapes to express the graceful curves of the human body in the design of clothing; silk, hemp and other fabrics are more loose and pleated effect, showing the flow of fabric lines. The cool fabric has a clear line and a sense of volume, which can form a full outline of clothing. Commonly used are cotton, polyester cotton, corduroy, linen and a variety of medium-thick wool and chemical fiber fabrics. For example, Plain Suiting Fabric , this type of fabric can be used to highlight the design of garments, such as suits and suits. The glossy fabric has a smooth surface and reflects light, giving it a sparkling glow. Such fabrics include satin-structured fabrics. Most commonly used in night dresses or stage performances, it produces a gorgeous and dazzling visual effect. Glossy fabrics have a wide range of freedom in the performance of the dress, and can have a simple design or a more exaggerated style. The thick and heavy fabrics are thick and scratched, resulting in a stable styling effect, including all kinds of thick woolen and quilted fabrics. For example, the Italian Wool Suiting Fabric has a fabric with a sense of shape expansion. It is not advisable to use excessive pleats and piles. The A and H shapes are most suitable in the design. The transparent fabric is light and transparent, with an elegant and mysterious artistic effect. Including cotton, silk, chemical fiber fabrics, etc., such as georgette, satin strips, chemical fiber lace. Next: What Is The Classification Of Fabrics?